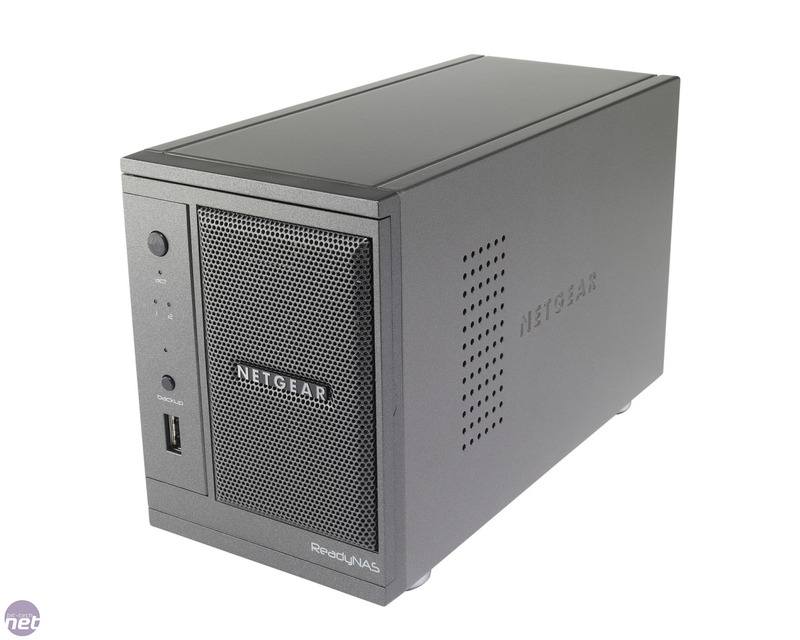 With its ReadyNAS Duo RND2000 getting a little long in the tooth, and way behind the competition in terms of features and speed, Netgear has launched a new premium range of NAS boxes. 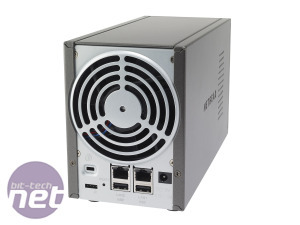 The Netgear ReadyNAS Ultra 2 is equipped with a 1.8GHz single-core Intel Atom D425 CPU and 1GB of DDR3 memory - yet another manufacturer opting for an Intel, rather than Marvell CPU. 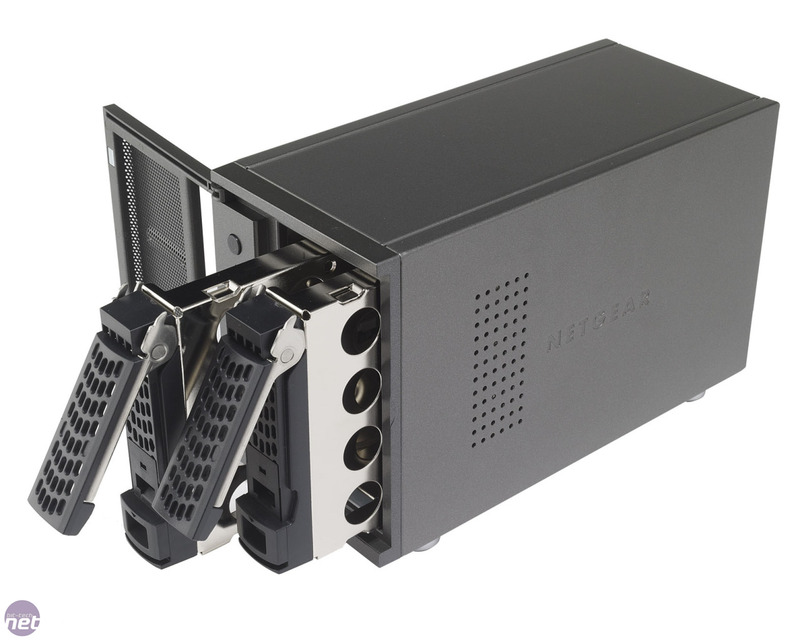 The two 3.5in hard disk bays are hot-swappable and, as we’ve come to expect from Netgear’s NAS boxes, the Ultra 2 is built like a tank. 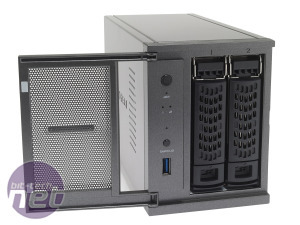 However, unlike the ReadyNAS Duo RND2000, Netgear has put far more thought into the Ultra 2 in regards to cooling and noise reduction. For the Ultra 2, it has opted for a large, software-controlled 92mm fan, which draws in air through the mesh-covered door at the front. This was a little noisier than the similarly sized fan of the Synology DS211j , but it kept our test hard disk remarkably cool, and unless you have it in an exposed location, the hum of the fan won’t be too intrusive. 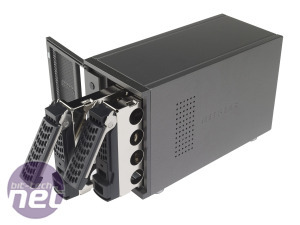 In addition to two Gigabit Ethernet ports, there are also two USB 2 ports at the rear and a single USB 3 port on the front fascia – a first for any NAS we’ve seen – which is flanked by a one-touch backup button. Setting up the Ultra 2 wasn’t as straightforward as we’d have liked, though, and after half an hour of fiddling with network settings, it turned out that a hard reset of the device itself was required. In addition, the browser-based interface feels basic and antiquated compared with Synology’s excellent DSM 3.1 operating system. It does the job, but it isn't intuitive. 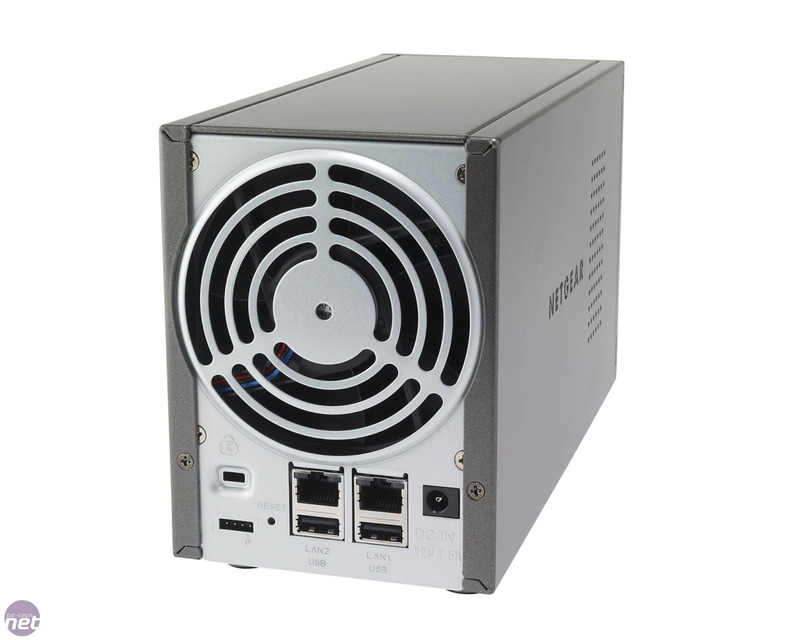 Thankfully, there were no issues with lag but, as with the Thecus N2200XXX, the Ultra 2 is missing some key features, such as a BitTorrent client and photo server. These are freely available to download and install from Netgear’s website, but Synology manages to include them all as standard without its interface looking crowded. Other features, such as DLNA media streaming, integrated Squeezebox and iTunes server support are included as standard, and are quick and straightforward to set up. The same also goes for new features such as iSCSI support, as well as the various means of streaming photos and video from the NAS to your smartphone. In our speed tests, the Ultra 2 didn’t quite live up to our hopes, though. Its read and write speeds of 76.9MB/sec and 54MB/sec respectively in our large file test were a long way off the near-100MB/sec speeds recorded by the N2200XXX, while being similar to those of the DS211+. Performance deteriorated in our small file test as well; the Ultra 2’s read speed of 16.2MB/sec and write speed of 15.9MB/sec are dire – the DS211+ was twice as fast in the same test. 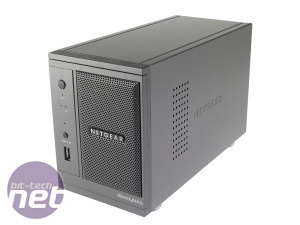 Sadly, while the Netgear ReadyNAS Ultra 2 is well made, the fact that it requires a fair amount of time to set up, has a mediocre user interface and lacks speed in our small file tests means that there are far better options available. The Synology DS211j offers far more consistent speeds and a better interface for £60 less. See the Performance page for the scores. 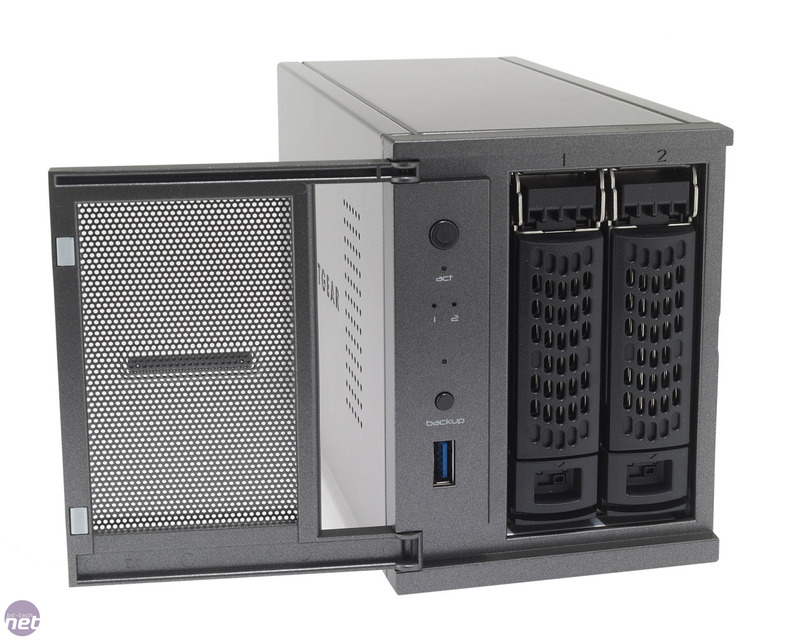 Six-bay 10-gig-E beast gets unleashed.